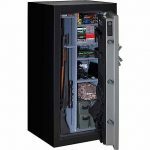 Secure your guns and ammo with our STANDARD SERIES gun safes. 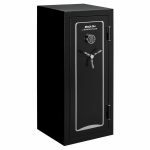 Each safe has a configurable interior which is easily adaptable for all types of valuable items and includes a power outlet with USB ports. All products are backed by our industry best no hassle lifetime warranty against fire, theft and natural flood damage. 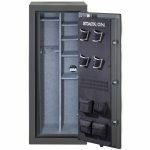 Each safe has a configurable interior which is easily adaptable for all types of valuable items and includes a power outlet with USB ports. All products are backed by our industry best no hassle lifetime warranty against fire, theft and natural flood damage. 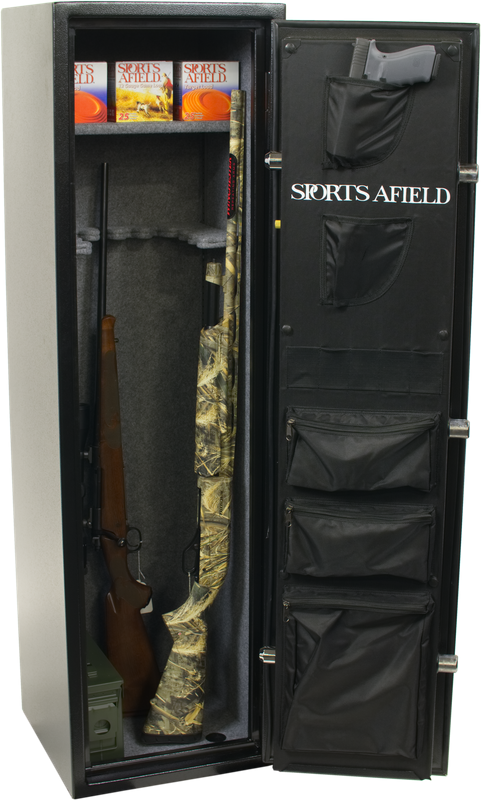 Every consumer that purchases a Sports Afield gun safe receives a FREE one year subscription to the Sports Afield Magazine, a $27.97 value. Fire protection of 1200F for 40 minutes. Proven to maintain interior temperature of less than 350 degrees. 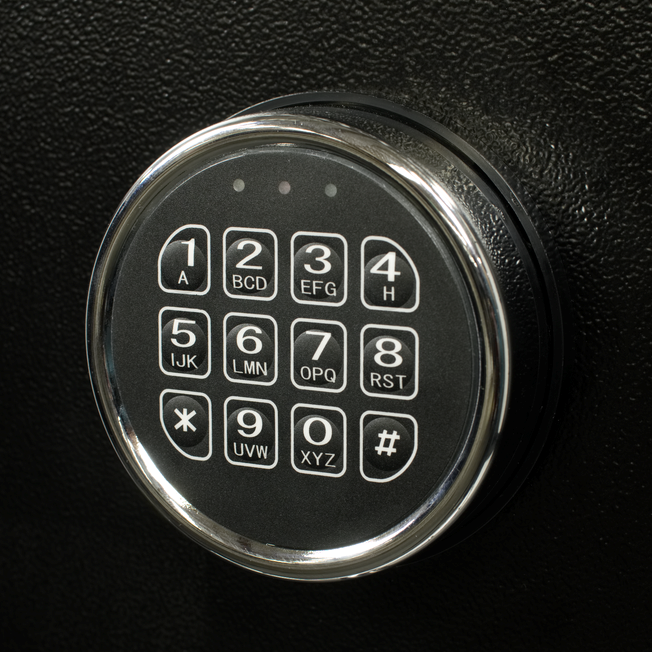 Electronic lock – programable and illuminated. 6 large 1.25” steel bolts. Exterior dimensions: 55” x 16” x 16”. Interior dimensions: 53″ x 14″ x 13.125″. 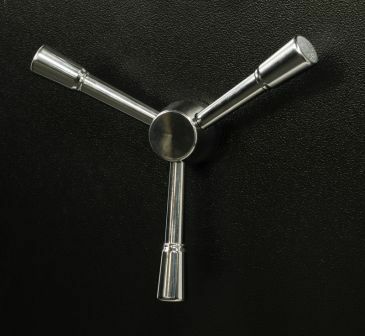 Expandable Palusol fire and smoke seal. Standard Door Organizer maximizes storage space and offers quick access to commonly used items. Standard built in internal AC power port with removable external power cord and USB ports. Gun Capacity: 10 + 2. One top shelf and one adjustable shelf. Your safe will be shipped within 2-5 days of your order being placed. We use a number of different shipping carriers that specialize in large and heavy items to ensure your safe is delivered without any damages. 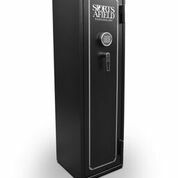 We ship over 10,000 safes each year and issues are very rare but if for any reason your safe arrives is less than mint condition just contact us and we'll take care of it. 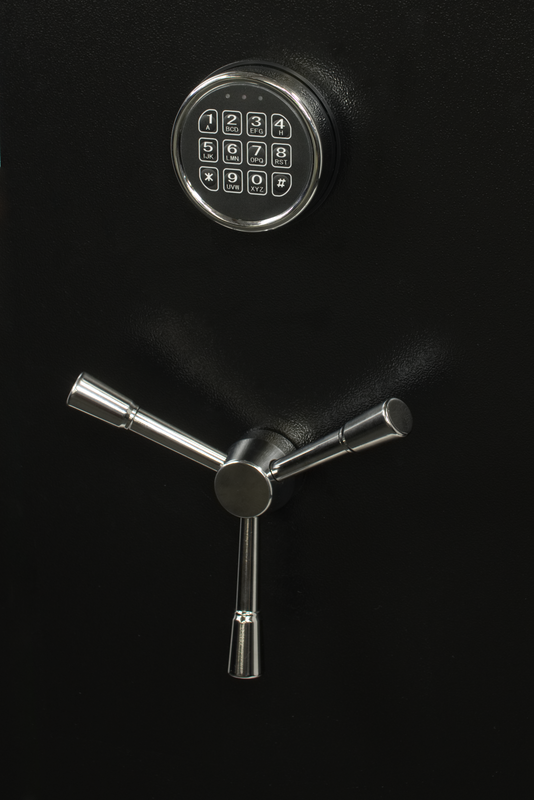 Safes are delivered “curbside.” The truck will drop it down via a lift-gate at the curb of your delivery address. 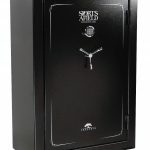 From there it is your obligation to move the safe into the home and place it where you want it. The local delivery company will contact you via phone to schedule the final delivery to ensure you are available and that you can be prepared for its arrival. 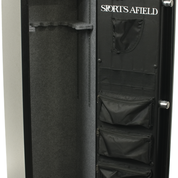 Be the first to review “Sports Afield 5516 Standard Series Safe” Click here to cancel reply.